15 days from £3076pp plus international flights. 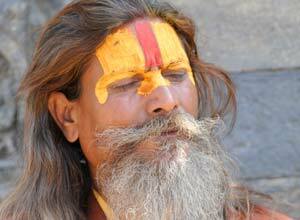 This diverse and active holiday in Nepal promises to be an unforgettable adventure! You'll travel with your own experienced guide who will explain to you the history, culture and wildlife of this fascinating country. You start in Kathmandu, staying in a characterful hotel, and we take you on an exciting tour, where you'll see temples, squares, a Tibetan craft centre, the famous 'monkey temple' of Swayambunath, and Patan City, the town with a thousand golden roofs. Next comes five days of trekking in the Annapurnas with your guide and porter, and staying in traditional tea-houses en route. The exact route that you take is flexible - have a word with your guide before you set off about how far you want to walk and what you are interested in seeing, and they will plan out a suitable route for you. Whatever route you take, you will be up in the mountains from the start, enjoying fabulous views of the Annapurnas. You will also have the opportunity to meet the remote community of this area. 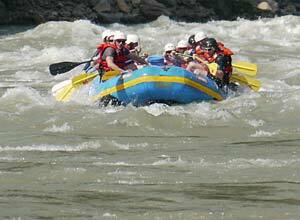 Next, you take part in two of the most popular activities in Nepal - rafting and wildlife watching. Rafting down the Trisuli River you pass through some really beautiful scenery and is a wonderful experience. There are a few bits of white water which add to the excitement but this is not a difficult river and the rafting is suitable for people with no previous experience. Of course, it changes with the seasons but a support vehicle is always close at hand should the river be too fierce for you at any point! 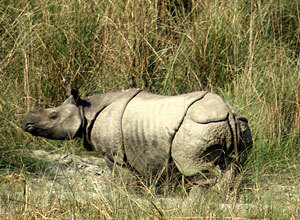 Chitwan is a really fabulous part of Nepal and you'll see some of the diverse wildlife that live down in the Terai. 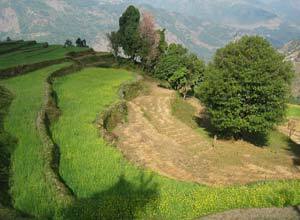 That's an area of grassland plains and forest that stretches for miles along the foothills of the Himalayas. 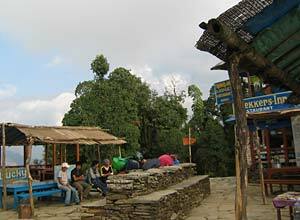 Following your time in Chitwan you return to Kathmandu and enjoying a full day's tour of the Kathmandu Valley. 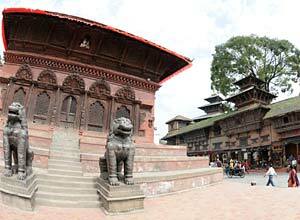 This includes a trip to the medieval town of Bhaktapur, famed for its Newari craftsmanship and architecture, and to the Pashupatinath Temple, with its tiered golden roof and silver doors. 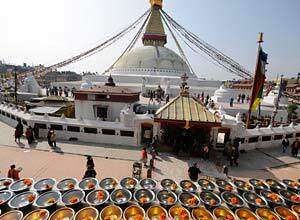 And we'll take you to Boudhanath, the world's largest stupa and a major site of veneration for Buddhists. Arrive in Kathmandu. You will be met at the airport and taken to your hotel in the heart of this fascinating city. 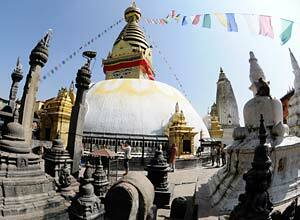 Today you have a full day tour of the sites of Kathmandu. You'll see temples, squares, a Tibetan craft centre and markets. Your tour will also include Patan (the town with a thousand golden roofs) and the Buddhist shrine of Swayambhunath, better known as the monkey temple for the many monkeys which clamber around the stupa. 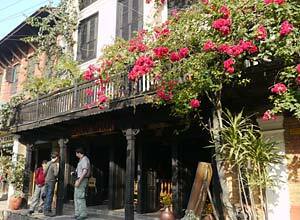 Tonight you will have dinner at the Bhojan Griha, a restaurant offering tasty Nepali food and enjoyable entertainment. We take you to the airport for your short, scenic flight to Pokhara. On arrival in Pokhara you'll be taken to your lakeside hotel, with time to explore the shops of the lakeside district, walk in the surrounding hills or just enjoy the fabulous mountain views. 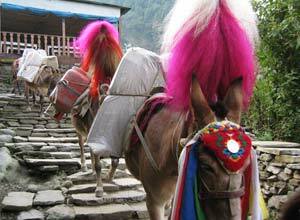 Today you will be driven the short distance to the foothills of the Annapurnas to start your 5 day trek. The exact route you take is flexible and should be discussed with your guide in advance. We can make the walk more or less challenging depending on what you prefer. Here we just give you an idea of what is possible.Your route climbs steadily uphill through farmland and villages, with great views of the valley spreading out beneath you. Stay overnight in a local tea house. Your path leads slowly uphill through forested hills. The forests are home to a variety of birds and if you're lucky you may see larger mammals such as deer. The highest point on today's trek is Deurali at an altitude of 2,100m, located on a ridge with fine views of the Annapurnas. After stopping for lunch at a tea house, it is an easy downhill hike through lush forests to the village of Landruk at an altitude of 1,560m, in the steep-sided valley of the fast-flowing Modhi Khola. After breakfast, cross the river on a suspension bridge - easier if you don't look down. On the other side of the Modhi Khola, your path zig-zags up the slope to Ghandruk at an altitude of 1,940m, your destination for today and you should arrive by lunch time. After lunch you can explore the village and its surroundings and if you feel up to it enjoy an afternoon walk in the hills above the town, for some truly unforgettable views. Leaving Ghandruk, your path follows the top of the valley of the Modhi Khola before descending through its forested slopes to Syauli Bazar where you can enjoy lunch by the river. From here, your path continues along the river to Birethani (altitude 1,025m) where you spend a final night in a tea house. The final morning of the trek will take you along the river to the small town of Nayapul where your car will be waiting for you. We drive you to the small hill town of Bandipur, once an important stop on the trade route between India and Nepal, but bypassed by the highway between Pokhara and Kathmandu in the valley below. The town was only finally connected to the highway in 1998, so it has retained its traditional character. 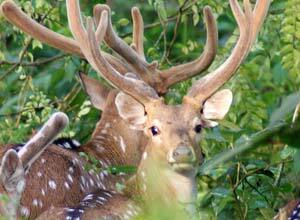 You stay for the early morning in Bandipur followed by a drive of about 1Â½ hours to the Trisuli River. You will have a briefing and be familiarised with the equipment before starting your river journey. You should be on the river for about 5 or 6 hours depending on the conditions. Then you'll camp overnight on the riverbanks. This is not a difficult rafting trip, so it is fine even for beginners in rafting. After another enjoyable short morning's rafting you dry off and drive the short distance to Chitwan. You are staying at a hotel just outside the National Park boundaries. You have two full days at Chitwan. Chitwan was Nepal's first national park, established in 1973 to protect the rare Asian one-horned Rhino, then on the verge of extinction. There are many other large mammal species here, including tigers, sloth bears, wild boars, and rare antelopes. During your stay you can take part in various exciting activities such as jeep safaris, walking and canoeing safaris. 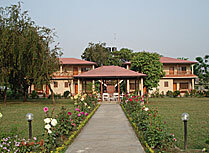 A final morning at Chitwan for your last jungle activities then you'll be driven back to Kathmandu in the afternoon. This should takle about 5 hours. 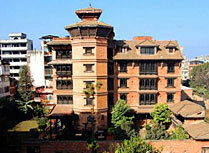 You'll be staying at Kantipur Temple House again. There is still more to see in this amazing valley! 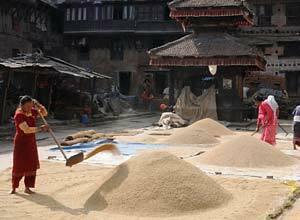 Today a highlight is the mediaeval town of Bhaktapur, famous for its fine carvings. You'll see some of the fantastic architecture, including the Golden Gate, the Palace of Fifty Five Windows, and the Pashupatinath Temple with its tiered golden roof and silver doors. On the way back to Kathmandu, we stop at Boudhanath, which has become a centre for Tibetan culture since the Chinese occupation of Tibet. This morning we will take you to the airport in time for your flight home. The end of an exciting trip through Nepal. All accommodation, all transfers in private vehicle, private guided tours of Kathmandu and the Kathmandu Valley, Pokhara and Bandipur including all entrance fees, meals as shown, domestic flight from Kathmandu to Pokhara, on trek: guide and porter, permits, drinking water. National Park entrance fees; activities in Chitwan (you will have a selection of activities but may not be able to include all of them); Rafting: helmet, life jacket, waterproof box for cameras, camping equipment (included sleeping bags), toilet tent, rafting guide. International flights, travel insurance, visas, vaccinations, departure tax, meals and activities not shown, tips, drinks, sleeping bag for trek, items of a personal nature. There are several airlines flying to Nepal via India or the Middle East with flight times of 10 to 15 hours depending on the length of the stopover. You would normally fly from the UK overnight on the day before this itinerary starts and on the way back would take a day flight arriving back in the UK the same day. Departure dates: You can take this private tailor made trip at any time you like, and can be amended in any way. Kathmandu is Nepal's capital and largest city, at the heart of the country. is a vibrant, bustling city, with many interesting sights and fascinating markets. 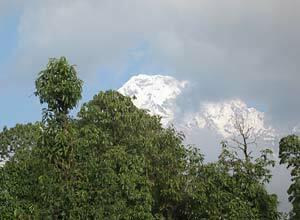 The Annapurnas are one of Nepal's, and indeed the world's best trekking areas. A short drive from the town of Pokhara are numerous excellent trails which take you through beautiful mountain scenery, passing through remote Himalayan villages with spectacular views of the Annapurnas range. Chitwan National Park is the best known and most popular of Nepal's parks, and you can fly, drive or raft down to the lowland Terai to get there. Whichever way you choose, you will be impressed by the range of wildlife you can see here. Pokhara's original lakeside resort hotel, Fishtail Lodge sits on a peninsular jutting out into the lake with stunning mountain views. 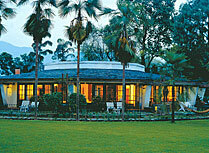 In the small town of Bandipur, Gaun Ghar offers a simple base to explore traditional Nepalese life. 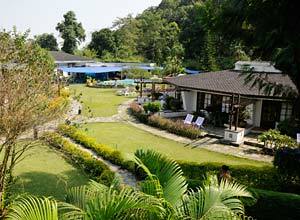 A good value lodge just a few minutes from the entrance to Chitwan National Park. 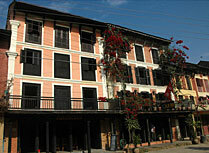 Kantipur Temple House is a 42-room hotel in traditional Newari style in the heart of Kathmandu. Start planning your tailor-made holiday to Nepal. Tell us what you want, and we will tailor make your perfect trip.  Flight time: There are several airlines flying to Nepal via the Middle East with flight times of 10 to 15 hours depending on the length of the stopover.  Language: Nepali is the official language and there are many other minority languages. English is widely spoken by people involved in the travel industry.  Visas: Required for British citizens, can be obtained on arrival at the airport.